Bamboo’s Team is the last camp to go on through the Knock Out Rounds of The Voice of the Philippines Season 2 on January 18, 2015. The final list of Top Sic will be soon known and the Live Shows will be soon set in motion as the journey towards the dream victory of each artist comes closer. 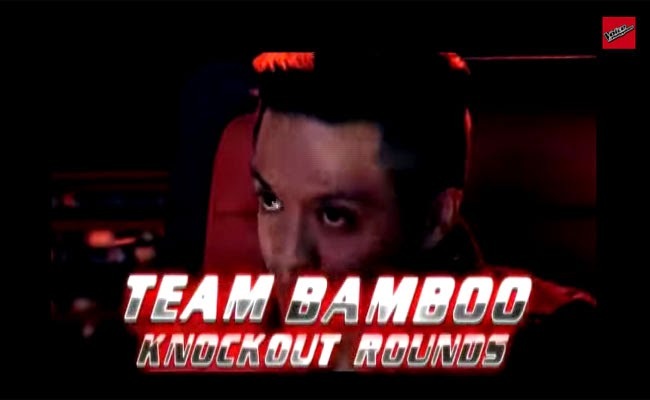 The Knock out Rounds of bamboo’s team also seemed to give a surprise as seen in the teaser shown in television after The Voice of the Philippines Season 2 episode on January 17. The last chance will be given for the Team Bamboo to do their best and be on the next level of the prestigious competition. The viewers are set to be sat on the edge of their seats as the various artists compete with their chosen song on their own genre. RnB singer Arnee Hidalgo had chosen ‘Fallin’, while the aspiring rock stars Tanya Diaz and Lougee Basabas will be singing their renditions of “I Remember You” and “Chain of Fools” respectively. Rita Martinez will try her best to get into the top six with “Hit Me with Your Best Shot” and singer-instrumentalists Karlo Mojica will be performing “Usok”. Joniver Robles had chosen “Himig Natin” as Elmerjun Hilario will try to own the stage with “Dati”. Rence Rapanot will perform “Walang Hanggang Paalam” while the four chair turner Kai Honasan will be giving her best shot with “Limang Dipang Tao”. Each singer had chosen his or her song but will only know the groupings on the performance. The last Top Six will go on to the Live Shows together with the Top six of the other teams.